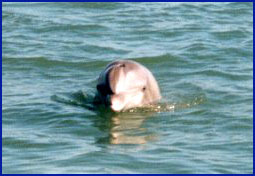 One of the many things to do on South Padre Island is dolphin watching. 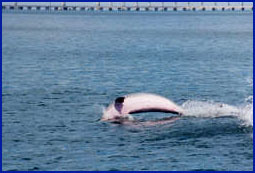 The Bottle Nose dolphin that inhabit the bay waters are playful and love attention. 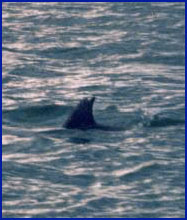 A dolphin enjoys showing off for one of the Dolphin Watch Cruises. "Natcho" known for the V shaped notch in her fin.